This is a sponsored post written by me on behalf of The Duck® Brand for IZEA. All opinions are 100% mine. ‘Tis the season to be decorating for Christmas! Have you been decorating or creating decorations this year? This year, I made cute little stockings to use for a garland to go across my fireplace. Guess what I made it out of?! Duck Tape®! Didn’t they turn out cute? They are actually pretty simple to make! 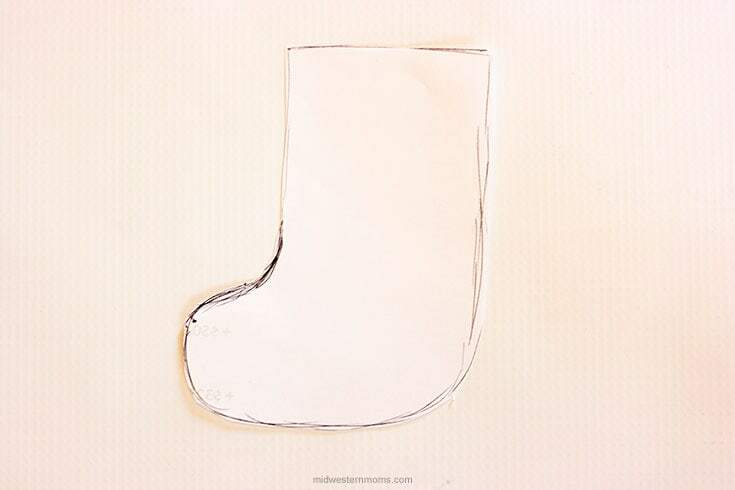 Step 1: On a scrap piece of paper sketch out a stocking. This will be your template. Make it is size you would like the stockings to be. Once you have done that, cut it out with scissors. Step 2: This is the most trickiest part of the whole process. Pull off a good sized piece of Duck Tape®. Use the color that you want the body of the stocking to be, I used Red in the photo. Then, carefully fold that piece of Duck Tape® in half. Try not get any wrinkles. 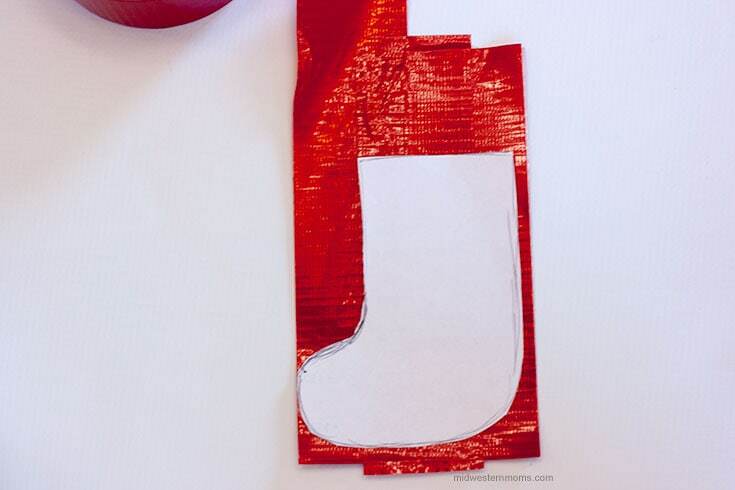 Lay your template over the top of folded tape pieces, then cut out the stocking shape. 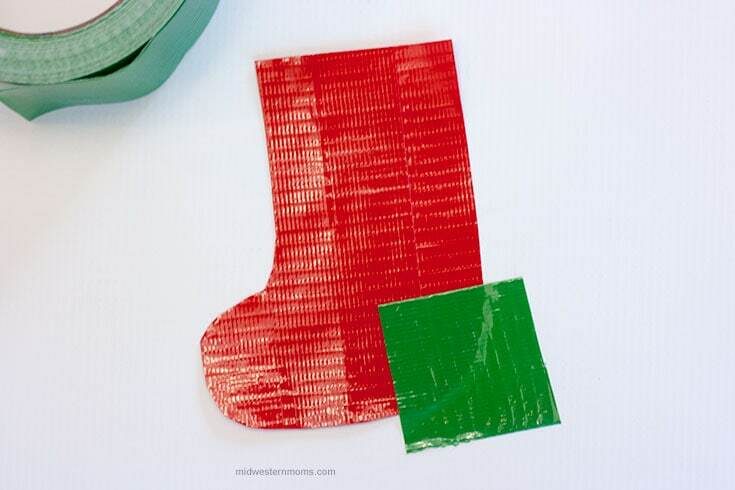 Step 3: Using a different color Duck Tape®, (I used Green) cut out a square shape that will be big enough to use for a patch in the heel of the stocking. Place it on to the heel and cut around the stocking shape to trim off the extra. Step 4: with the the extra Duck Tape® you trimmed off, cut out 4 very small slivers. These will become the “stitches” on the patch of the heel. 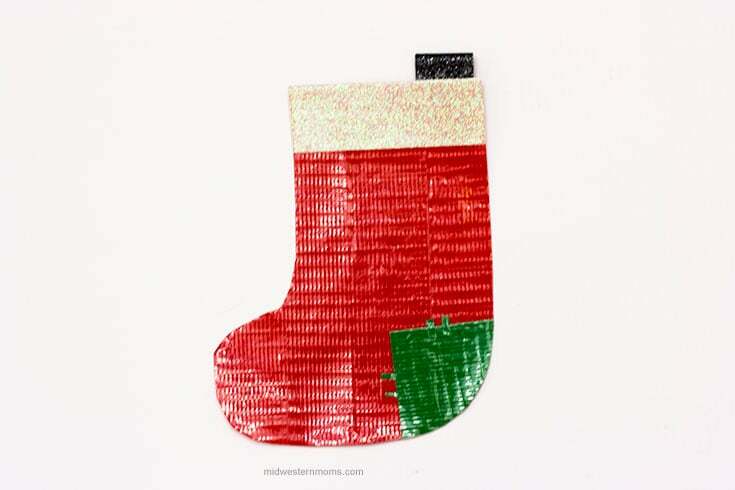 Step 5: Using the Duck Glitter® tape (I used White), cut a piece to fold over the top of the stocking. Trim off any extra. 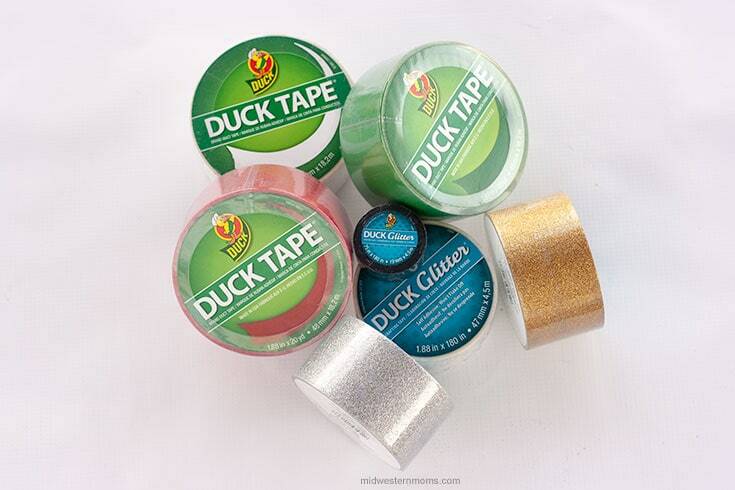 Step 6: Using the Black Duck Glitter® tape, pull of a good length of tape. Fold over but leave a bit of the sticky on one end. Then fold over the tape and attach it to the sticky part. This makes a loop. 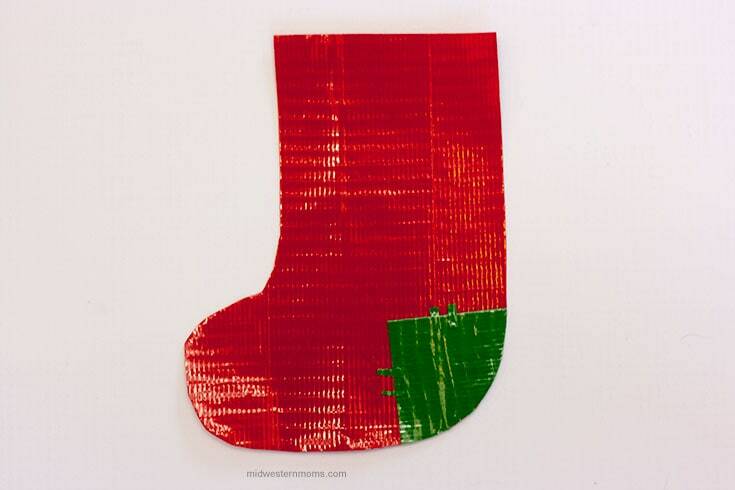 Then pull off a little bit more tape and attach the loop to the back of the stocking. The stocking is all done! Feel free to alternate colors to make different stockings. 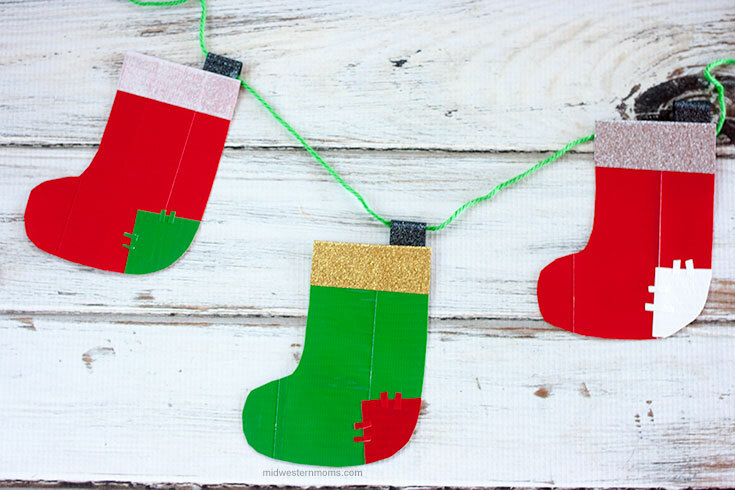 When you have enough, use some yarn or string to string them up to decorate with! 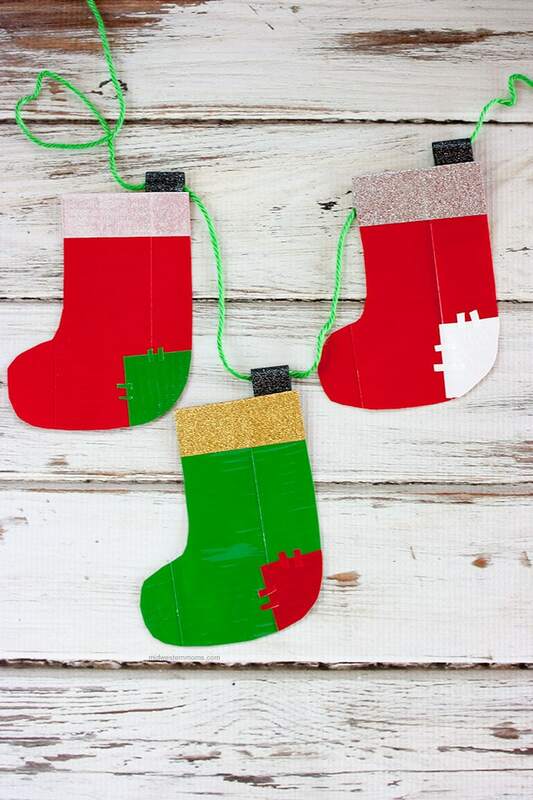 How would you use Duck Tape® in your holiday decorating? Want some more inspiration? Check out their holiday Pinterest board!